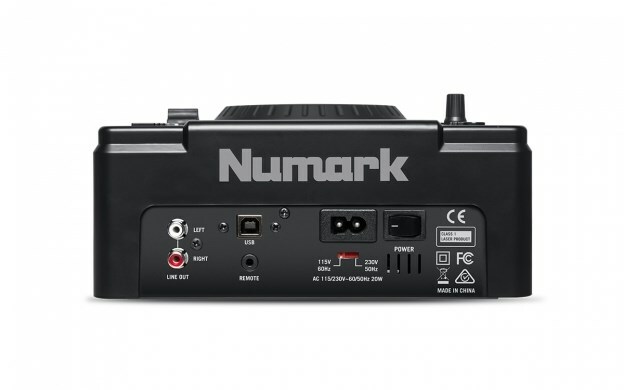 Numark NDX500 USB/CD Media Player Overview By GAK. The Numark NDX500 has been designed with versatility in mind. NDX500 a software controller and USB/CD media player that allows you DJ with your entire media library, anywhere you want. The Numark NDX500 combines fantastic, comprehensive standalone functionality with intuitive software and hardware integration. 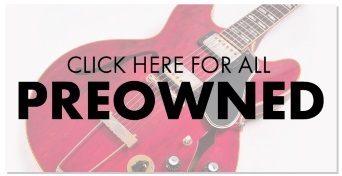 It is able to play and mix music from pretty much any digital audio source. 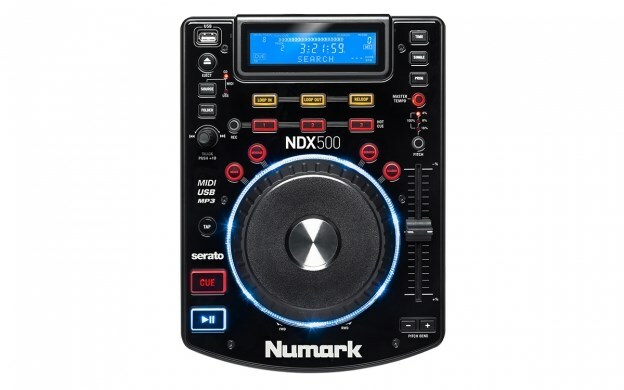 With the NDX500, you're free to DJ with a USB flash drive, CD and MP3 CD's without the need for a computer, or you can use the NDX500s built in audio interface and USB MIDI mode to DJ with your favourite DJing software. Critically acclaimed wheels The touch-sensitive jog wheel gets the job done with uncanny accuracy. Scratch, search and backspin with precision and reliability in any environment—adaptive platter technology automatically calibrates itself for optimum performance regardless of humidity or environmental changes. An adjustable start/stop time lets you create vinyl-style braking and power-up/down effects. Every DJ needs connections All of NDX500’s controls come mapped to Serato DJ* (sold separately), so you can plug in to your Mac and PC and start performing. NDX500 also features USB Audio, allowing you to play back audio from your computer. No matter the source, all critical information is displayed on the backlit display so you can manage your library of tracks at a glance. Masterful manipulation An extensive set of track manipulation controls lets you maneuver a set with practicality or raw creativity. The hot cues provide immediate access to key points in the track. Both a looping section and stutter start provide seamless creation of mix foundations, transitions, and more. Auto BPM counters with tap-tempo override gets to the point so you can mix with precision. Critically acclaimed wheels - The touch-sensitive jog wheel gets the job done with uncanny accuracy. Scratch, search and backspin with precision and reliability in any environment-adaptive platter technology automatically calibrates itself for optimum performance regardless of humidity or environmental changes. 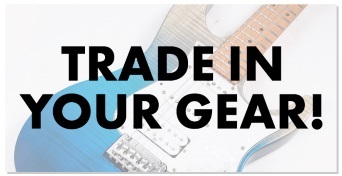 An adjustable start/stop time lets you create vinyl-style braking and power-up/down effects. Every DJ needs connections - All of NDX500's controls come mapped to Serato DJ* (sold separately), so you can plug in to your Mac and PC and start performing. NDX500 also features USB Audio, allowing you to play back audio from your computer. No matter the source, all critical information is displayed on the backlit display so you can manage your library of tracks at a glance. Masterful manipulation - An extensive set of track manipulation controls lets you maneuver a set with practicality or raw creativity. Thre hot cues provide immediate access to key points in the track. Both a looping section and stutter start provide seamless creation of mix foundations, transitions, and more. Auto BPM counters with tap-tempo override gets to the point so you can mix with pecision.